Join Dr Holly Parsons as we delve into the wonderful world of Blue Bonnets in Wildlife in Focus, a crop that’s edible as well as used to improve your soil in Vegetable Heroes, plus yummy fruit tree in Plant of the Week. Lastly, a flower that says magnificent beauty in Talking Flowers. If I say this next segment is about parrots, do you go through a very short checklist? This checklist might include, the Sulphur Crested, several Galahs, King Parrot, and Gang Gang Cockatoos. 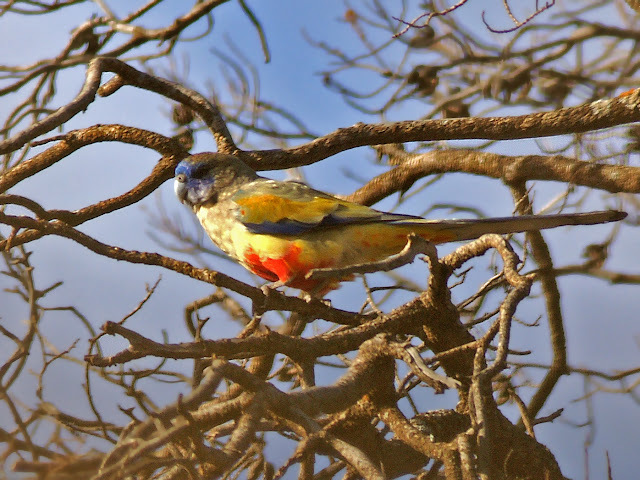 You may even realise that Rosellasand Lorikeets are in the parrot category. But what about this next parrot with a very different name? The parrots species have short, powerful bills that they use for cracking seeds, but some of them also feed on fruit, nectar, underground plant stems, and wood-boring insect larvae. Blue bonnets have not only similar calls to other parrots but fly in a similar way as well. From Graeme Chapman’s website comes this information “They have a particular liking for areas where sheoaks such as belah or bulloak (genus Allocasuarina) grow, mainly because these trees provide them with their preferred nesting sites. Where available, they prefer a narrow split in the main trunk of a tree which opens out into a hollow that often continues down to (or even below!) ground level. It is amazing just how narrow a split they can fit into and such sites are not uncommon in quite small trees such as Myall (an Acacia) out in desert regions. 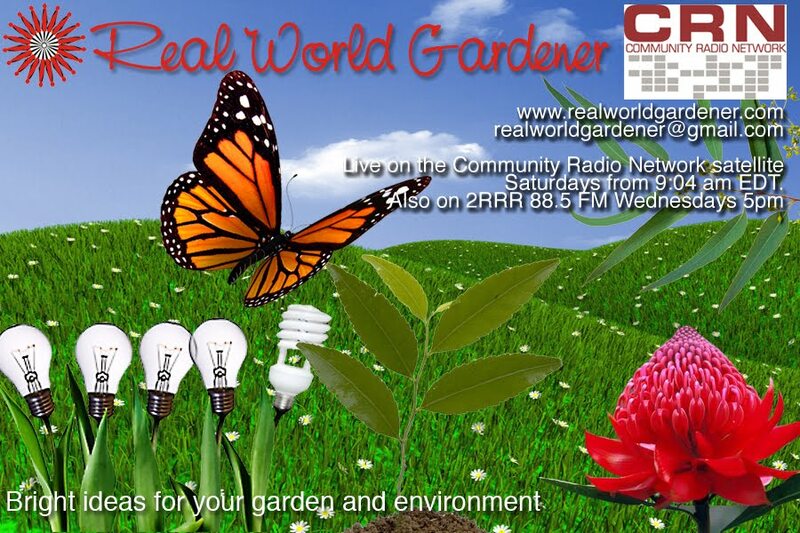 If you have any questions either for me or for Holly, you can email us Realworldgardener@gmail.com or write in to 2rrr, PO Box 644 Gladesville NSW 1675. Lupins or Lupinus species belong in the pea or Fabaceae family. This of course means that Lupins fix Nitrogen into the soil from the atmosphere. You might know about Lupins as a perennial flowering plant for gardens, coming in a variety of colours and leaf shapes. Maybe you think of them as Russell Lupins? Did you know, seed from some perennial flowering Lupins are edible and have been used as a crop feed as well as food for humans? Did you know that lupins as a food have been used for thousands of years. In fact, Lupin dishes were popular during the Roman Empire, but they seem to eat just about everything didn’t they? Members of native tribes in South and Native America used to soak Lupin beans in salt water before eating them. These are grown even today as a Soy substitute. Lupin flowers come in a rainbow of colours but not all have edible seed pods. But before you go snacking on the seed pods of these flowers, be warned, unless you’ve bought edible Lupin seeds, the other varieties of Lupins are TOXIC. THESE Lupins contain Lupin alkaloids which can cause Lupin poisoning. DPI Victoria says there are 2 types of Lupin; the narrow leaf species (Lupinus angustifolius-blue flower) and the larger seeded and broader leaf Lupinus albus, with a white flower. Lupinus albus is grown mostly for human consumption, while the higher protein narrow leaf lupin, Lupinus angustifolius, is better as stock feed. Yellow Lupins are also a new crop in W.A. These legumes were popular with the Romans, weren’t they all? The Andean Lupin L. mutabilis, the Mediterranean Lupinus albus (white lupin), Lupinus angustifolius (blue lupin) and Lupinus hirsutus are only edible after soaking the seeds for some days in salted water. These lupins are referred to as sweet lupins because they contain smaller amounts of toxic alkaloids than the bitter lupin varieties. Newly bred variants of sweet lupins are grown extensively in Germany; they lack any bitter taste and require no soaking in salt solution. The seeds are used for different foods from vegan sausages to lupin-tofu or lupin flour. Lupins are currently under widespread cultivation in Australia, Europe, Russia, and the Americas as a green manure, livestock fodder and grazing plant, and high protein additive for animal and human foods. Australia is still to realise Lupins as human food because 95% of Lupins are grown for stock feed. How and when to sow your Lupins. Sow Lupin seeds 3-4 cm deep. Sowing deeper than 5 cm can lead to very poor crop emergence. Lupins prefer moderate temperatures and rainfall, they are not tolerant of frost and most of your flowers will drop if frost is serve enough or ongoing. They like moderate temperatures, too many days over 30o C will also see flowers drop. Sow in temperate areas autumn and spring, in subtropical areas April-June. Lupins will also grow in a cool climate, for example if you live in southern Victoria, then February to March is the best time. Make a note in your garden diary for next year. 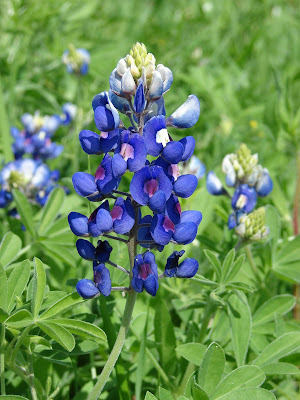 The Lupin plant loves well-watered areas and soil with slight acidity. The plant grows best in regions that have coarse, well-drained soil preferably with an acidic value between 6 and 7. Lupins can also grow in any area that has loose, light-coloured fertile soil and plenty of water. In fact the recommendation is to water Lupins for 10-20 minutes every day. Lupins need direct sunlight daily for at least four hours. Lupin roots can grow down to 2.5 metres, and rhizobium is needed for nodulation and nitrogen fixation. Lupinus alba is available as a mail order seed and is used for a green manure crop. Another soil benefit is that Lupins accumulate phosphorus; and the flowers are attractive to bees and other beneficial insects. Why are Lupins good for you? 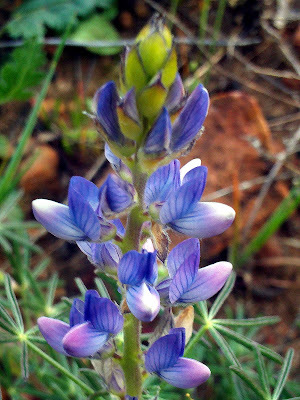 Lupine flour, used in bread products and pasta, is high in protein and is highly nutritious for human body. This is one of the main health benefits of Lupins. Lupin seed has a low GI and makes us feel fuller for longer. Apparently Lupin enhanced bread is available in some health food stores, and is said to reduce your hunger. 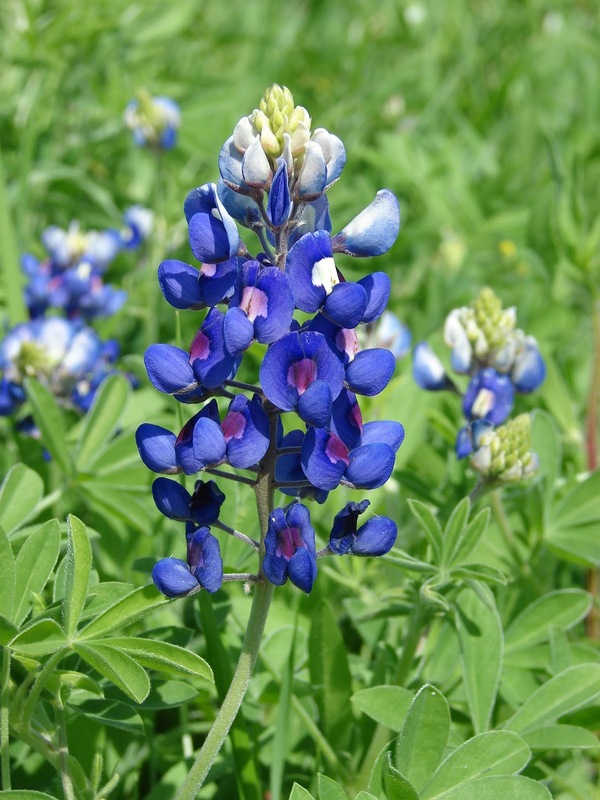 Lupine oil is edible oil extracted from Lupin seeds and used to manufacture technical as well as edible refined oil. So either grow the Lupins as a green manure crop, or a flowering perennial. The flowers are considered a must for the cottage garden, combining perfectly with poppies, catmint and roses. As far as growing Lupins as an edible crop, only commercial quantities are available to the crop farmer. But you never know, there could be a breakthrough soon, and we might be making our own Lupin enhanced bread in the not too distant future. 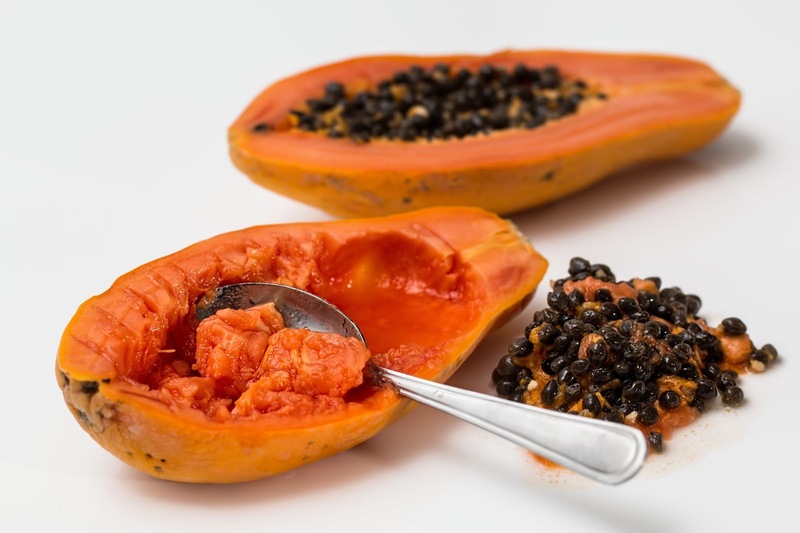 Paw Paw and Papaya, are they the same fruit? Papaya (Carica papaya), also called pawpaw in Australia, is an exotic, tropical fruit with a juicy, sweet flavour. Papaya and pawpaw are the same species, however they look and taste different. In Australia, the red-fleshed sweeter fruit is called papaya, while the yellow-fleshed fruit is called pawpaw. Just to confuse everyone, from an Australian industry perspective however, the term papaya covers both fruit. Let’s find out how to grow it. The papaya is a small, sparsely branched tree, usually with a single stem growing from 5 to 10 m tall, with spirally arranged leaves confined to the top of the trunk. 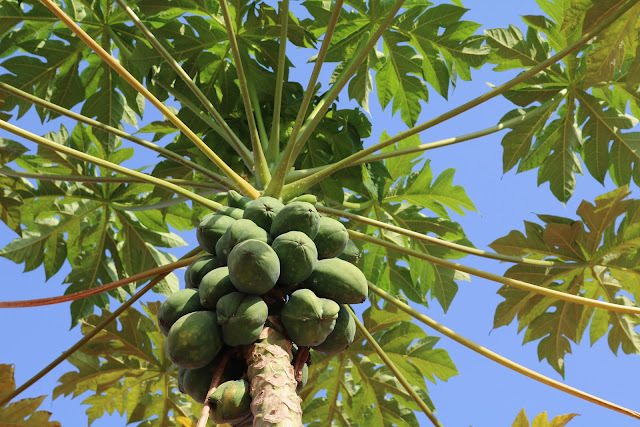 Papaya plants grow in three sexes: male, female, bisexual (hermaphrodite meaning they produce flowers which have both male and female functioning parts). The male produces only pollen, never fruit. The female will produce small, inedible fruits unless pollinated. Known as arum lily but not a lily at all, instead an aroid. 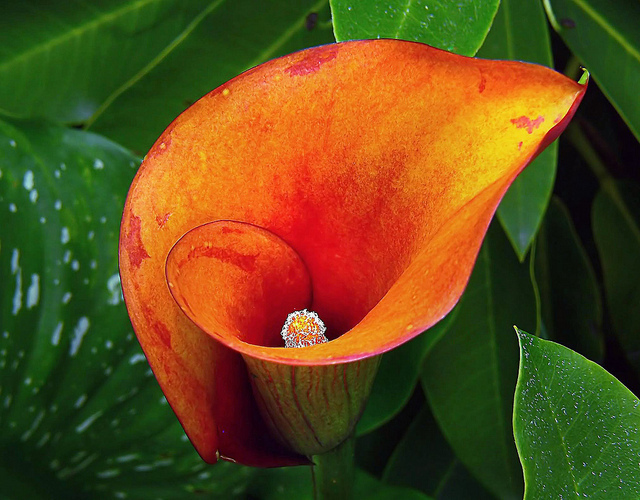 Aroid because it’s a member of the 3,300 strong arum family and most have flowers that consist of a spathe (floral bract) surrounding the central pale yellow spadix (floral spike) bearing tiny flowers. Think Peace Lily (Spathiphyllum, Anthurium and Philodendron. Zantedeschia aethiopica is a rhizomatous herbaceous perennial plant, evergreen where there's plenty of rainfall and moderate temperatures but deciduous where there is a dry season. Its preferred habitat is in streams and ponds or on the banks. The plant actually contains calcium oxalate making it poisonous to animals or people that may attempt to eat the plant raw. This is basically a protection mechanism for the plant so that it can survive in the wild. Apart from that, these flowers look fabulous in the vase ,just don't let kitty nibble on the leaves.